Update: We are extremely happy to announce that on April 5, 2019 we signed the papers and bought the property of our Hindu Temple at 888 Zolezzi Lane, Reno. Please continue supporting us, as we continue to require your contributions for making necessary modifications to maintain religious permit (Details below in highlighted text). So, please encourage your family and friends to contribute towards this noble cause. You can also visit our website gnhtonline.com for further details about our temple. To support this initiative, people across different walks of life including Doctors, Engineers, Businessmen, college professors and long time residents in Northern Nevada have come together. Washoe County and city requires us to do landscaping, fencing and lighting in the parking area to be compliant with their regulations. We are in need of additional $50,000 to meet our goal. Note: Before you read the update below, we request you to send your name & email address to nnvtemple@gmail.com so that we can send you the receipt of your donation. 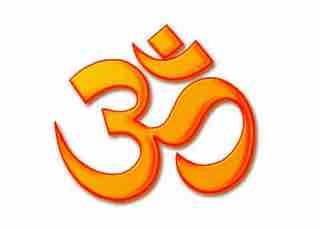 April 5th 2019 would be earmarked as a historic day in Reno’s history as this is the day we sign to close the property for the 1st Hindu temple in Northern Nevada at 888 Zolezzi Lane, Reno. No words are enough to express our gratitude for the generous contributions from each and every donors like you who made our vision a reality. We thank you once again for contributing for this noble effort. Our job is not done yet, as we are still collecting funds for making necessary modifications required to maintain special unit permit (religious permit). Please continue supporting us. We will keep you posted. Note: People willing to pay/already paid for this noble cause had a query about avoiding the tip while donating in the gofundme website. The details are given below along with a picture for better representation. To avoid paying the tip, you select "Other" (blue box) and manually enter the amount as "0.00" (red box). 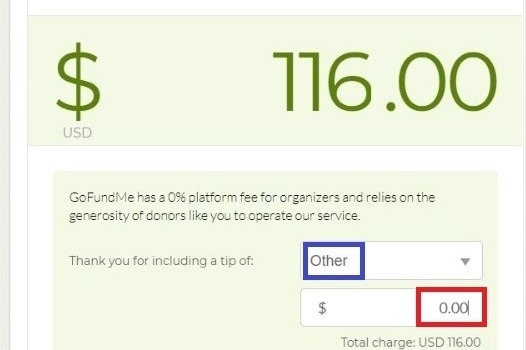 This step allows you to donate the intended amount without any tip.